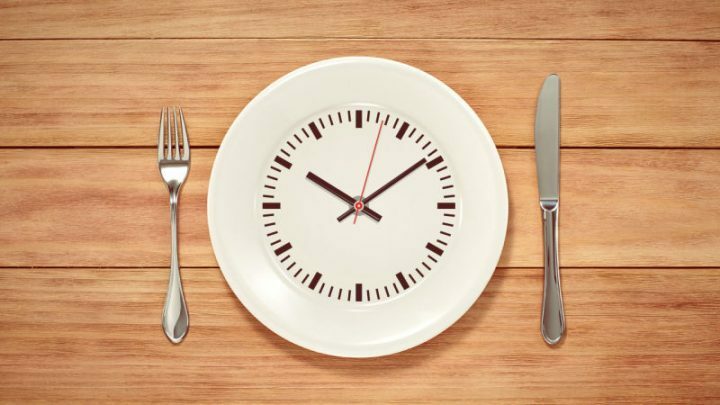 Home / Health / Should you try intermittent fasting? The evidence. – Do a lot less cooking and cleaning? – Lose weight without starvation? – Spend less on food? – Target belly fat reduction? Then intermittent fasting may work for you! a calorie deficit that allows you to eat relatively freely at your other meal times. benefits, some precautions and of course, how to get started. As mentioned, the key reason people try IF is for weight loss and losing belly fat (1). more than you consume, and ultimately, lose weight (2). When you skip entire meals, you quickly reduce your daily calorie intake. consume in the meals you do eat while still staying on track with your weight loss goals. low calorie diet (800 calories or less)(3). circumferences by 4-7% in 24 weeks (4). protein/kg of body weight on non-fasting days to preserve fat-free muscle mass (6). chances of you sticking to your lower calorie diet without feeling famished. metabolism, meaning fat became the preferred fuel source of the body (8). basal metabolic rate can drop significantly. Now, research is beginning to show that fasting can benefit more than just your waistline. healthy heart, and even preserve brain function including learning and memory. helping to initiate the processes that allow your body’s cells to repair. cholesterol and decreased LDL cholesterol and triglyceride levels. (11). levels by around 53% when you fast for around 16 hours daily (12). against memory problems and Alzheimer’s disease (13,14,15). our risk of chronic disease. skipping one meal a day. per week. There is no real schedule for this one. alternate days of fasting and normal eating. 8-hour window. Most people will skip breakfast and eat from 1pm to 9pm for example. when you don’t feel hungry or don’t have time to eat. trialling any new health or diet regime. For some people, fasting can be harmful to their health depending on their current health status. healthy meals to nourish the body. weight and reduce your risk of a variety of chronic diseases. Larina Robinson is a Wholefood Dietitian, author and founder of The Body Dietetics. Specialising in gut health, food intolerances and alternative diets, Larina empowers people to embrace a diet unique to their own dietary needs and supports them to find freedom from long-term digestive complaints.